Werribee Mazda has been servicing Melbourne's West since 1977 and has grown to become a multi-award winning Mazda dealership. We pride ourselves on the highest levels of Customer Service Excellence and State of the Art modern showroom. With professional / friendly staff, indoor delivery area, comfortable waiting lounge and kids playroom, Werribee Mazda offer nothing but a 5 star experience. From Sales and Service, Finance and Insurance to Parts and Accessories, Werribee Mazda has it all covered. Open 7 days a week, we are ready when you are and if you can’t come to us, we will happily come to you. Werribee Mazda actively supports our local Melbourne community, charities and sporting clubs and has given over $400,000 in donations in the past. 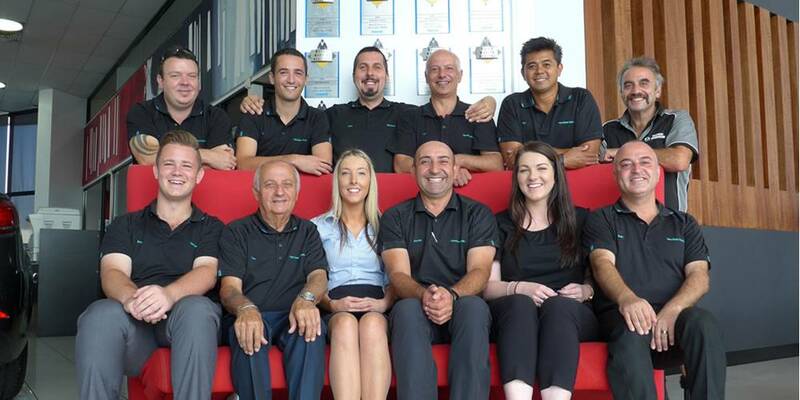 Our staff are dedicated in providing you with the best of care at all times, so whether you are buying, selling or leasing come and experience the difference at the “Award Winning" Werribee Mazda. As an authorised Mazda dealer in the Melbourne Metropolitan region we sell and service new and Used Mazda's in the following key areas: ALTONA, SEAHOLME, MAMBOURIN, MOUNT, COTTRELL, WYNDHAM VALE, ALTONA EAST, ALTONA GATE, ALTONA NORTH, LAVERTON NORTH, WILLIAMS LANDING, ALTONA MEADOWS, LAVERTON, SEABROOK, HOPPERS CROSSING, TARNEIT, TRUGANINA, COCOROC, DERRIMUT, POINT COOK, QUANDONG, WERRIBEE, WERRIBEE SOUTH.